It seems that there’s a Mystic Force in the air. And nobody knows what it’s all about. That’s why it’s up to you to figure out what’s going on. Of course, it won’t be so easy to do. There are many trials and tribulations for you to work your way through. Alongside this, you’ll come across various mysterious creatures along the way. You’ll need to decide whether these creatures can help you or hinder you in your quest. And then once you find the cause of the Mystic Force, what will you do? Well, you’ll need to stop it before it’s too late. However, you won’t find that it’s so easy to do, considering it’s a world full of magic that you’re navigating through. And that’s quite possibly where you’ll find that Bally Wulff’s special features come into play. They’ll assist you along the way with reaching the desired destination and stopping the force for good. So, let’s find out exactly how you can successfully complete this mission. Choosing to play this Bally Wulff slot will provide you with a layout of five reels and three rows in total. This works as a very standard video slot layout, ensuring that everything looks familiar enough. In addition to this, there are 10 separate bet lines for you to place wagers on. However, should you feel that there are too many of these, you can customise them easily enough. Just make use of the relevant plus and minus buttons in the bottom right hand corner of the screen. And there, you can also utilise the secondary set of these to change around your wager. 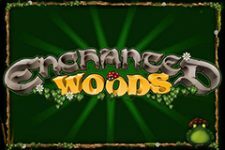 The game provides you with a selection of values between $0.10 and $100 per spin. And this means, of course, that $100 works as the slot’s maximum overall wager possibility. You can also utilise the ‘Auto Start’ button in the bottom left corner of the screen. And looking towards the game’s visual appeal, you’ll get to witness some great graphics upon its reels. Before that though, there’s a very intriguing background to see too. This takes you right into a magical world. And then, you’ll see the variety of icons upon the slot’s reels. They begin with the regularly seen playing card suit symbols. Therefore, you’ll get to see the pink diamonds, the red hearts, the blue spades and the purple clubs. And after these, there are some thematically relevant icons to see. The first is of a green form of plant life, while a blue set of mushrooms comes next. Either of these can pay out a maximum reward of $2,000. A beautiful bird of paradise can be found as another symbol, while a lynx provides one more. Not only that, but there’s a stag as another icon in Mystic Force. The game’s highest paying symbol though, is that of the faun. Five of this symbol on a winning pay line can reward you with up to $5,000 as a pay out. It’s common knowledge that fighting magical forces without any magic of your own is difficult. And when it comes to discovering and shutting down a Mystic Force, we can only suggest that you utilise Bally Wulff’s specialities to your advantage. The first of these comes in the form of the large warrior man. He works as the game’s wild symbol. Therefore, he will stand in for all other icons upon the reels in order to create a winning combination. The only exception to this rule comes in the shape of the scatter symbol. Furthermore, he will also expand across the entirety of the reel that he is on. This gives you the chance to form multiple wins from a single spin. Looking towards the scatter icon of this game, this comes in the form of the golden bird on a branch. Scatter icons can show up in any location and still reward you with a pay out. For example, bringing five of the scatter icons into view in any position will pay out up to $5,000. Further to this, if you bring three or more of them into view anywhere, you’ll receive 12 freespins as a reward. During this feature round, the wild icon will also have a secondary function. He will expand across the reel first and then upgrade one of the standard icons to the next highest paying. Additionally, one, two or three of the wild warrior man showing up will trigger one, three or five more freespins, respectively. And you can also play through a gamble round in this slot too. It will automatically activate itself after any win that you form on the reels shows up. Playing it will give you the choice of two different gamble games. The first of these is the Card Gamble. In this round, you will see a new screen slide into place with a face down playing card on it. You need to try and guess the colour of this card – either red or black. Getting this correct will provide your winnings with a double multiplier. And the other option is the play the Ladder Gamble. In this feature, you’ll get to see a set of steps with different values on them. You need to try and climb this ladder as high as possible to increase your winnings significantly. As well as Mystic Force, there are various other online slots to incorporate similar features. First of all, there is the slot game known as The Wild Life from IGT. You’ll find a five reel, three row interface on display, with 10 win lines also being present. 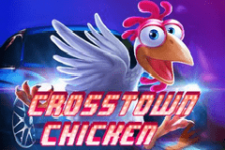 Additionally, you can trigger between 10 and 20 freespins whenever three or more scatter icons come into view. Expanding wilds will also show up on reels two, three and four as well. Alternatively, you may want to try out the Emperor’s Gold slot from Barcrest. Again, there are 10 bet lines for you to wager on, while a five reel, three row layout is also present. 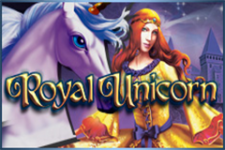 You’ll also find 12 freespins are available in this slot as well. And once again, wild icons can show up on the central three reels only. Lastly, why not trying spinning the reels of Golden 7 from Novomatic? While the wild symbols in this game can appear on all of its reels, there are still expanding wilds in its feature round. And speaking of that feature round, this is present in the shape of 12 freespins. We quite enjoy spinning the reels of this slot game. There are some impressive graphics and imagery on display, while there are also one or two additional special perks. The overall gameplay is simple as are the setup features. On the whole, it makes for a decent enough addition to the Bally Wulff collection of slot games.